When he took office in January of 2011, Minnesota governor Mark Dayton inherited a $6.2 billion budget deficit and a 7 percent unemployment rate from his predecessor, Tim Pawlenty, the soon-forgotten Republican candidate for the presidency who called himself Minnesota's first true fiscally-conservative governor in modern history. Pawlenty prided himself on never raising state taxes -- the most he ever did to generate new revenue was increase the tax on cigarettes by 75 cents a pack. Between 2003 and late 2010, when Pawlenty was at the head of Minnesota's state government, he managed to add only 6,200 more jobs. During his first four years in office, Gov. Dayton raised the state income tax from 7.85 to 9.85 percent on individuals earning over $150,000, and on couples earning over $250,000 when filing jointly -- a tax increase of $2.1 billion. He's also agreed to raise Minnesota's minimum wage to $9.50 an hour by 2018, and passed a state law guaranteeing equal pay for women. Republicans like state representative Mark Uglem warned against Gov. Dayton's tax increases, saying, "The job creators, the big corporations, the small corporations, they will leave. It's all dollars and cents to them." The conservative friend or family member you shared this article with would probably say the same if their governor tried something like this. But like Uglem, they would be proven wrong. Between 2011 and 2015, Gov. 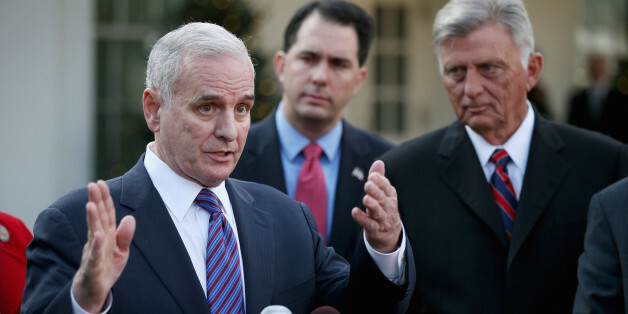 Dayton added 172,000 new jobs to Minnesota's economy -- that's 165,800 more jobs in Dayton's first term than Pawlenty added in both of his terms combined. Even though Minnesota's top income tax rate is the fourth highest in the country, it has the fifth lowest unemployment rate in the country at 3.6 percent. According to 2012-2013 U.S. census figures, Minnesotans had a median income that was $10,000 larger than the U.S. average, and their median income is still $8,000 more than the U.S. average today. By late 2013, Minnesota's private sector job growth exceeded pre-recession levels, and the state's economy was the fifth fastest-growing in the United States. Forbes even ranked Minnesota the ninth best state for business (Scott Walker's "Open For Business" Wisconsin came in at a distant #32 on the same list). Despite the fearmongering over businesses fleeing from Dayton's tax cuts, 6,230 more Minnesotans filed in the top income tax bracket in 2013, just one year after Dayton's tax increases went through. As of January 2015, Minnesota has a $1 billion budget surplus, and Gov. Dayton has pledged to reinvest more than one third of that money into public schools. And according to Gallup, Minnesota's economic confidence is higher than any other state.